and a large triple glazed window to Live Room One . to minimize fatigue and ensures an efficient recording session. 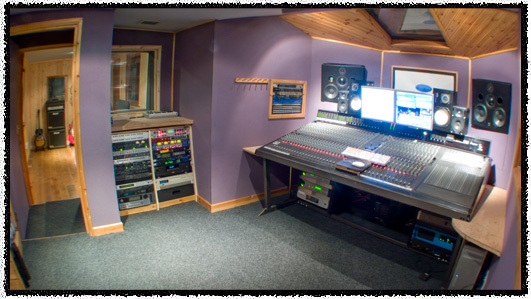 We are proud to say that we have the industry's standard professional recording system. Running on a 3Gig Quad processor Apple MacPro computer. 32 analogue Ins and out's and 32 Adat light pipe. Sonnex Oxford, Waves, URS, MCDSP full TDM plug in bundles. Previously owned by Mute records this desk was used to mix or record many of the classic Mute records artists. Depeche mode, Erasure, Nick Cave etc. range of outboard units ( see Technical Spec ). musicians to add virtually any sound you can imagine.